A single card changes its color for four times. Sounds amazing, right? What if I told you a single card could change its color SIX times in a row? With Colorful, you can do it! Designed by rising young magician, JHENG CIAN LIN, and performed by Anson Lee, who won 4th prize of FISM Manipulation. 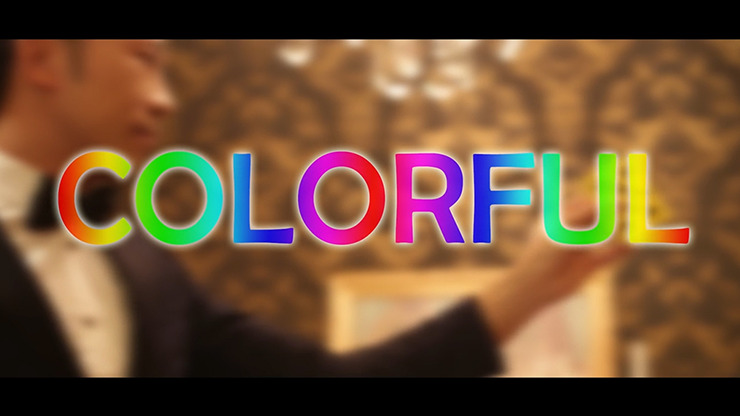 Colorful is a utility device for manipulation which will routines stronger and more visual. You can use it with silks, billiard balls, or snowstorms, resulting in a beautiful act. A six phase color change sequence!